Is there any paperwork or document for the mechanical systems of 23 Woodland Dr, Alnwick/Haldimand, Ontario? I need more information about the property at 23 Woodland Dr, Alnwick/Haldimand, Ontario. How ist the neighborhood, location and nearby amenities for 23 Woodland Dr, Alnwick/Haldimand, Ontario? I have questions about the roof, foundation, insulations and mechanical issues of 23 Woodland Dr, Alnwick/Haldimand, Ontario? I need more information about property details. What's wrong with this house? Is this a short sale? Is there any maintenance for 23 Woodland Dr, Alnwick/Haldimand, Ontario? What is this property worth in today's market? What are "closing costs", and how much? What steps should I take when looking for a home loan? What price home can I afford? Is my credit good enough to buy this house? What are the best mortgage options for me? How flexible is the seller on the asking price? How low can I consider offering for 23 Woodland Dr, Alnwick/Haldimand, Ontario? Contemporary Custom Built 3Br 3Bath Home In Pastoral Setting. Lakeviews & 2 Deeded Wf Lots At Lakefront For Dock/Boats! Dream Come True Home. 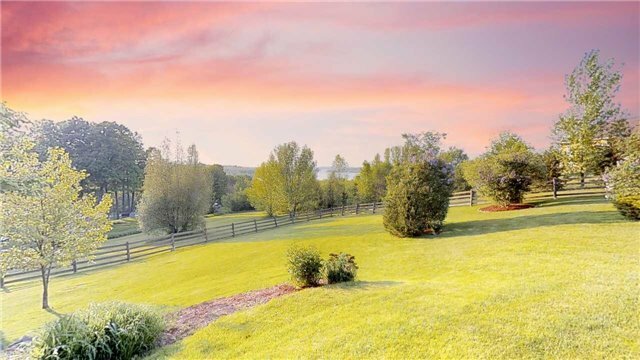 Sparkling Lakeviews Enchant From This Rare Gem, Inset Into A Beautiful Naturescape Of Lilacs, Lawns & Privacy Trees, On A Well-Groomed, Fully-Fenced Lot At The End Of A Quiet Cul-De-Sac On A Maintained Road. Great Style In A Grande Setting. Glass Doors Walk Out To Upper Deck & Deck Off The Large Finished Lower Level. New Furnace 2018. Modern Kitchen W/ Large Granite Island, Ss Appls. 2 Ensuites. Walk-Outs To Vista & Wrap-Around Deck. Bbq Gas Line, Gas Fp, Central A/C. Dble Car Garage W/ Large Windows, Shed, 2 Deeded Waterfront Lots. Interlock Driveway.